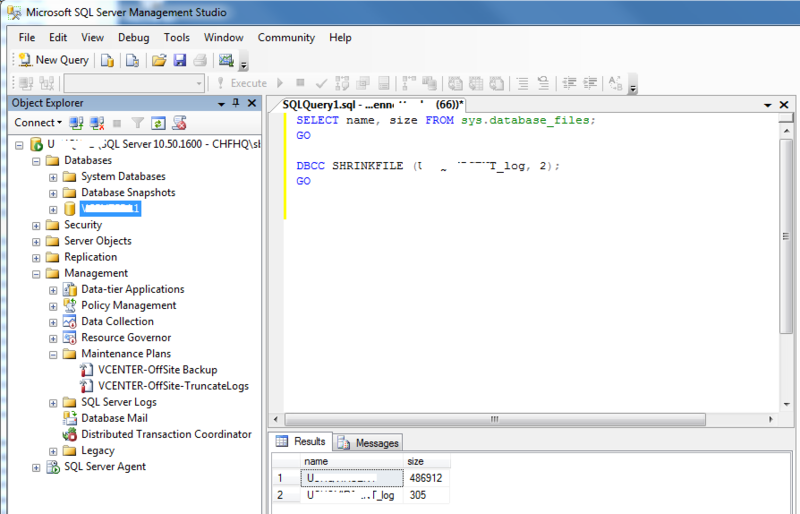 Truncation of Logs in SQL Server 2008 is different from SQL Server 2000/2005. The Truncate_only Option has been terminated (I guess this was to save the integrity of Data). Until Microsoft makes an option to right click on the Database and Select "Truncate Database". Follow the steps below for now. 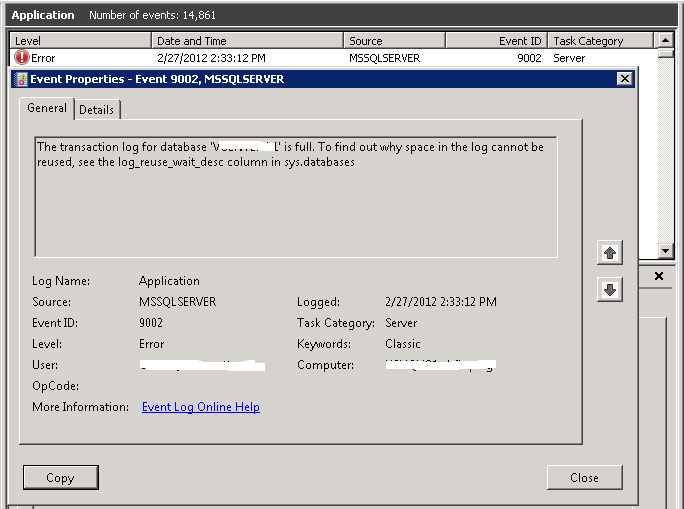 Do you have a SQL Server 2008 Database with Truncating Logs that are out of control, the Event Viewer is showing Event 9002 MSSQLServer. Then you need to immediately truncate your logs for your database. This will allow you to be able to access, login and use your database. If you are unable to login to vCenter, the first thing you need to do is check your error logs for Event 9002 MSSQLServer and see if you have a message for the database being Full. 3. You will need to temporarily switch the Database to “Simple” in order to manually truncate the logs. 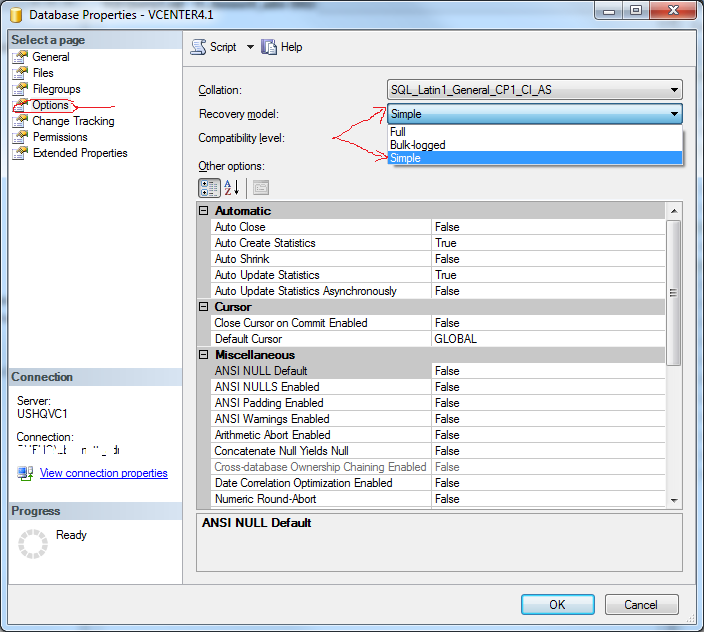 Right-click on your database and select PROPERTIES. 4. 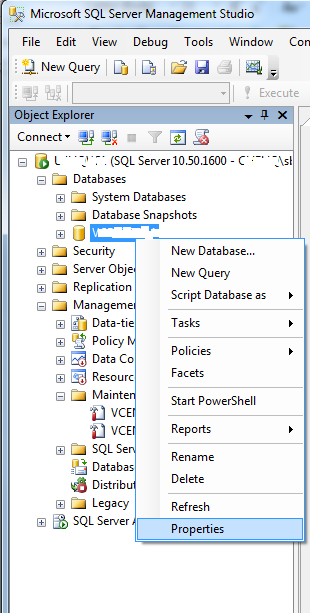 Select OPTIONS and then Switch the Database to “Simple” and click OK.
8. After completing the maintenance. Follow Steps 1-4 to Change the Database back to “Full”. FYI. Make certain that you have Maintenance Plans Setup for Full AND Transaction Log Backups! 9. Immediately Perform a Full Backup of the Database after you have completed all of your operations.